I went to Amerika Mura during my trip to Japan earlier this year! I went especially because I wanted to try the Cotton Candy and other sweet goods from Totti Candy, after seeing it on instagram! 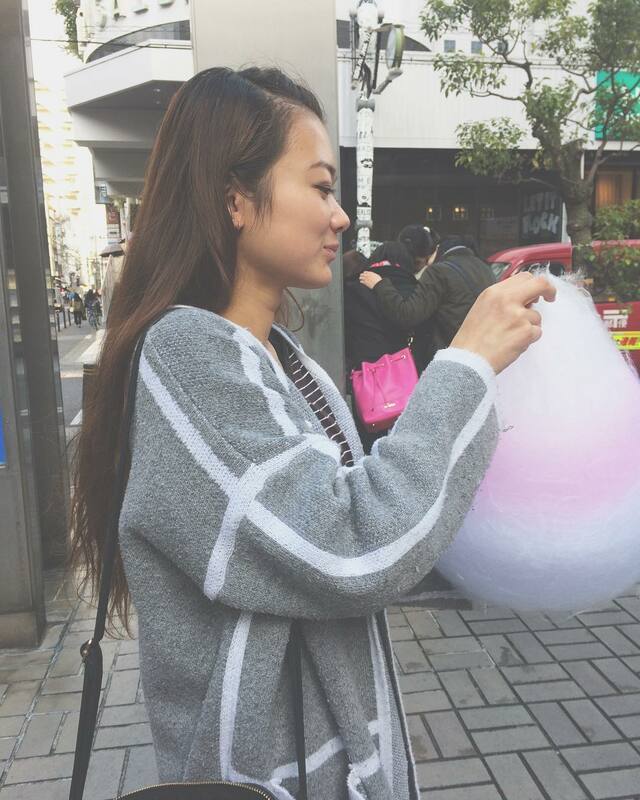 And honestly, I have an obsession with candyfloss, I LOVE IT!! But eventually we found it, extremely pretty display and it looked very popular too! It was also next to a shop that sold 30cm high softcreams, which I thought was pretty funny! So if that interests you, I definitely recommend having a little look there too! The staff make the candyfloss right in front of you, so you can watch how it is made, and take cool photos! Each of the colors are different flavours, which I thought was AMAZING! I got the 3 colour Candyfloss, which was 600yen. The pretty heart shaped on is 650yen, and the 4 coloured one is 800yen. They sell candyfloss in cups so you can take some home with you as well! Also, they sell some pretty cool candypops, and yummy lollies!! I really recommend going to Totti Candy!! It is definitely a must go if you're in Osaka!!! 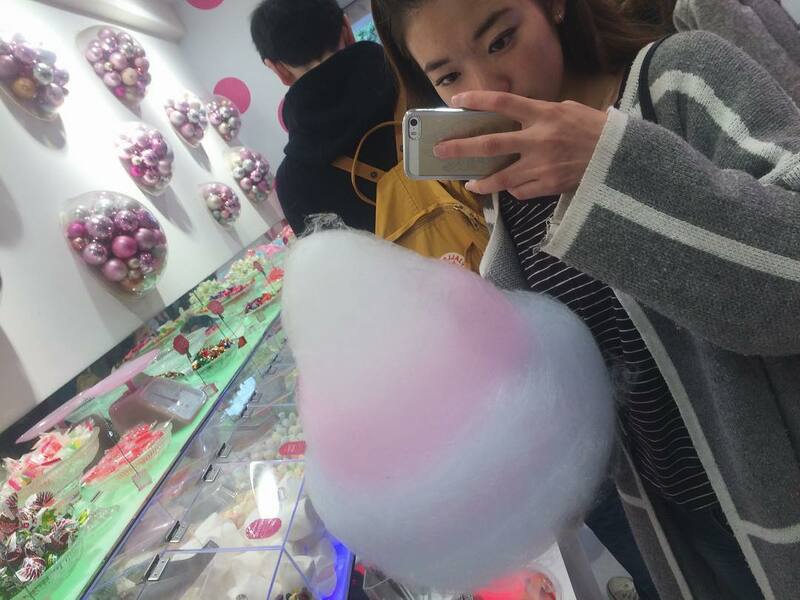 Giant Cotton Candy in Harajuku! Asakusa Ameya is a candy store offering traditional Japanese candies and lollipops.